Martino Fine Books, 9781614278191, 46pp. "Howl" is a poem written by Allen Ginsberg in 1955, published as part of his 1956 collection of poetry titled "Howl and Other Poems." 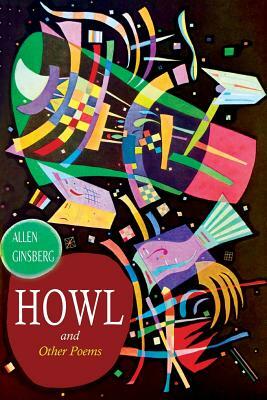 Ginsberg began work on "Howl" as early as 1954. "Howl" is considered to be one of the great works of American literature. It came to be associated with the group of writers known as the Beat Generation, which included Jack Kerouac and William S. Burroughs. There is no foundation to the myth that "Howl" was written as a performance piece and later published by poet Lawrence Ferlinghetti of City Lights Books. This myth was perpetuated by Ferlinghetti as part of the defense's case during the poem's obscenity trial, as detailed below. Upon the poem's release, Ferlinghetti and the bookstore's manager, Shigeyoshi Murao, were charged with disseminating obscene literature, and both were arrested. On October 3, 1957, Judge Clayton W. Horn ruled that the poem was not obscene. Poems include: Howl -- Footnote To Howl -- A Supermarket in California -- Transcription of Organ Music -- Sunflower Sutra -- America -- In the Baggage Room at Greyhound; Earlier Poems: An Asphodel -- Song -- Wild Orphan -- In Back of the Real.